CPMed Connect is the first Wednesday of each month – Members can login here. Mediation Matters is the second Wednesday of each month – Members can login here. Elder Connect is the third Wednesday of each month – Accredited Elder Mediators are welcome to login here. April 24, 2019 – 1:00 p.m. Social Justice Tribunals Ontario SJTO – Members are welcome to login here. May 22, 2019 – 1:00 p.m. Family Law Limited Scope Project FLLSSP – Members are welcome to login here. 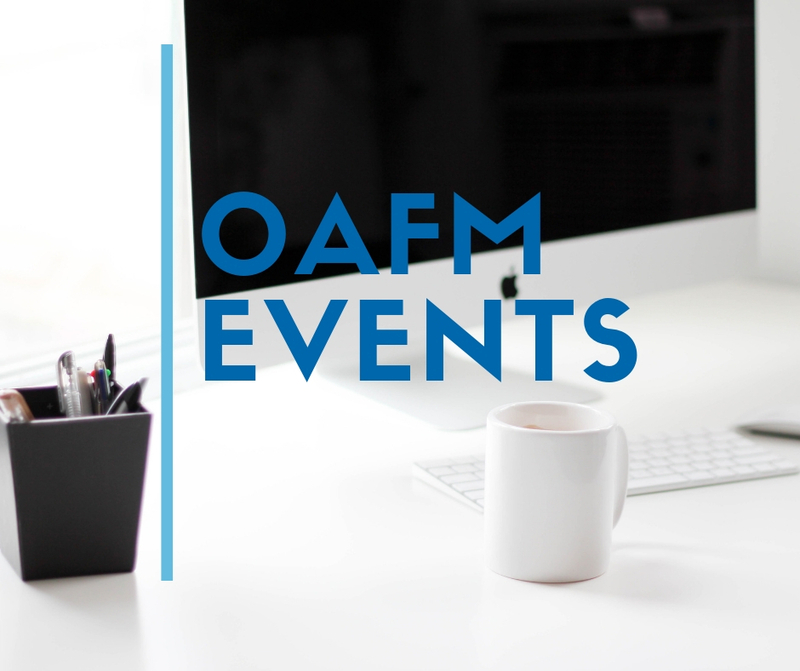 May 2 – 4, 2019 – OAFM & OCLF Joint Conference, The Resolution Evolution,Brookstreet Hotel, Ottawa. Open to all, register here. September 27, 2019 – Annual Conference and AGM – Novotel Toronto Centre. Members register here. June 24 – 28, 2019 and August 12 – 16, 2019 and November 4 – 8, 2019 Open to all, register here.